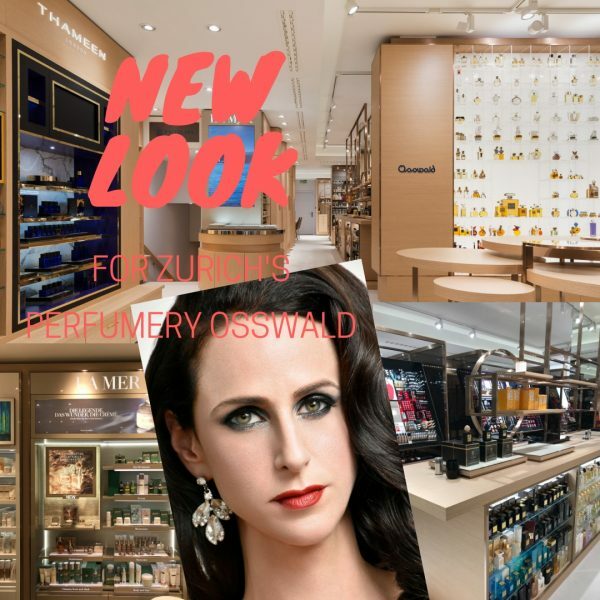 We can say with clear conscience that Perfumery Osswald is one of Zurich’s most traditional and iconic places to shop beauty must-haves. 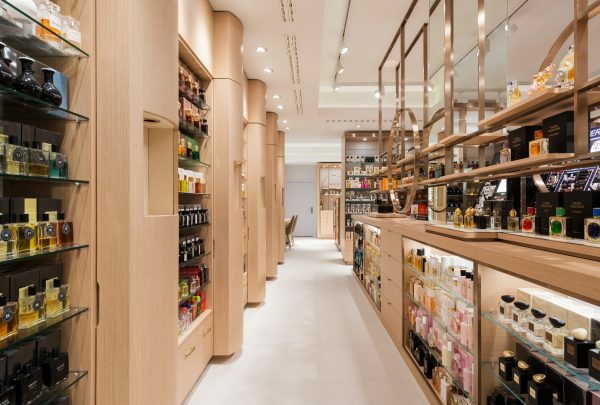 Opened in 1921 at Kreuzplatz by pharmacist Boris Dreiding, it was the place to get products from major brands such as Elizabeth Arden, Helena Rubinstein or Guerlain from the beginning. Dreiding also had the formula for Chanel N°5 that he produced for the Swiss market at that time. After the Second World War, his son Jago Dreiding took over the business and moved the location to Bahnhofstrasse 17, where it is still based today. 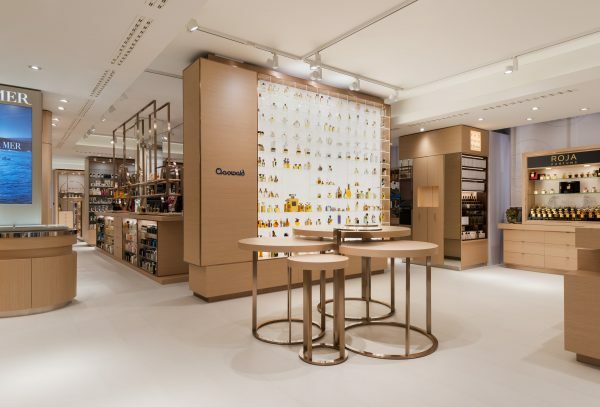 In 1980, he founded the «Salon de Beauté», the beauty spa, in the basement and successfully directed the perfumery Osswald until 1992. Thereafter, his widow Tamara Dreiding continued the business, until her daughter Tanja Dreiding Wallace took over the helmet in 2014. 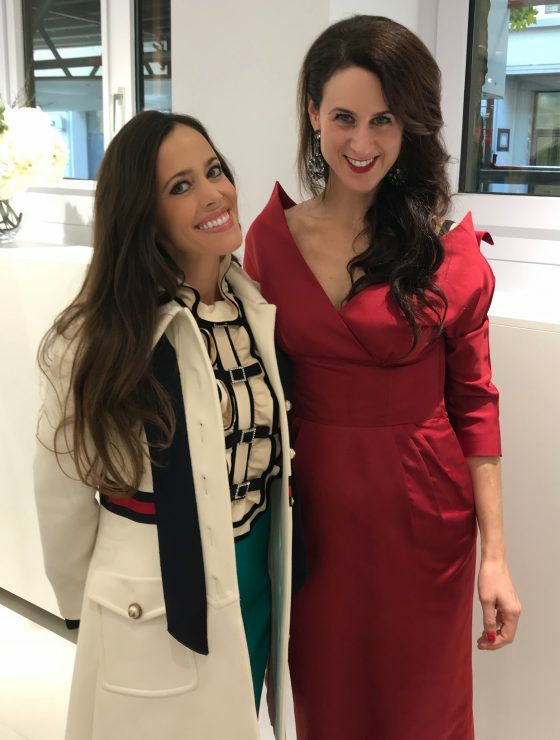 In 2012, the dynamic brunette had already opened the first international branch in New York’s Soho district (for a previous post, click here please). Being based in the US, she talks and e-mails daily with her team in Zurich and flies back to Switzerland at least once every second month. Tanja Dreiding Wallace with me yesterday in the newly renovated store. When in the beginning of 2018, the opportunity came up to rent more space in the back of the building, managing director Tanja Dreiding Wallace did not hesitate to give the iconic place a makeover and to enlarge the retails space. The world’s first La Prairie Lounge in the new design of the brand. 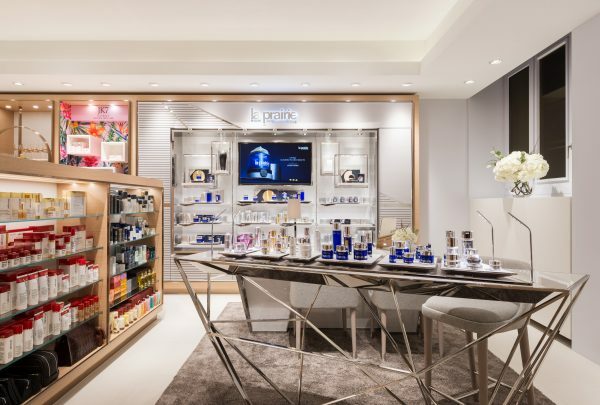 The idea for the interior design came up with the decision to integrate the world’s first and extremely exclusive La Prairie Lounge in the new design of the luxury brand. The premises are designed in warm natural colors and earthy tones, creating a homely yet elegant ambience. 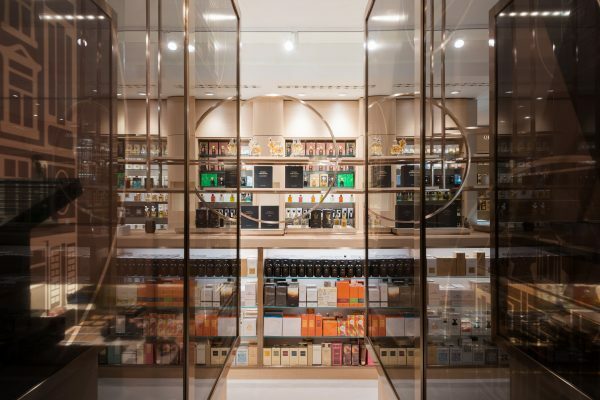 The carefully curated offer of selected niche fragrances, makeup products, luxury toiletries and accessories got more space are presented in a sophisticated way inviting customers to stroll through the corridors. When you enter the store, new launches will be presented on round tables.